I was asked recently which of our pieces of luggage within the Crew™ 11 Collection works better for the business traveler, the Spinner (8 wheels) or the Rollaboard® (2 wheels). This is a tough call, because both of them are great products, but in fact there are reasons that one may work better than the other in certain situations. Both the 21″ Expandable Spinner and the 22″ Expandable Rollaboard® are designed with the frequent traveler in mind. Each bag fits in most overhead bins, and has many features that make either an excellent choice for anyone who spends a lot of time maneuvering through airports and hotels. Both Crew 11 models have the Suiter system, which protects jackets and dress clothes from excessive wrinkling. The main difference between the two with regard to this feature is that the Spinner’s suiter is a “drop in” version, while the suiter for the Rollaboard® is built into the lid. The Rollaboard® has a slightly larger compartment due to the 2 wheel design so it’s suiter can actually fold up into the lid. Now, the biggest difference: the wheels. This is where most people make their choice. First, the Spinner features MagnaTrac™ self-aligning wheels. This patented design allows you to push the bag with one hand or pull it behind you, and it will always roll perfectly straight, with minimal effort or resistance. This 360-degree maneuverability alleviates arm strain that can occur when pulling a Rollaboard behind you. The Spinner can be turned sideways and pushed down airplane aisles. Its wheel size is smaller than those of the Rollaboard and is best for those who primarily guide their suitcase through an airport. Like all Travelpro® luggage, the Spinner is thoroughly and rigorously tested to ensure you are still able to push or pull it over the rougher, more uneven surfaces outside the terminal. On the other hand, the Rollaboard has only two wheels at the base instead of four, and is designed to be pulled behind you. Its wheels are larger than those of the Spinner, making it the more “all-terrain” model of the two. The wheels are constructed with sealed ball bearings and tested to our strict standards for the smoothest transitions over curbs, along sidewalks, across elevator steps, through hotel parking lots, and even over cobblestones. Not all rolling suitcases are created equally, but whether you choose Travelpro’s Crew 11 Spinner or Rollaboard®, you’ll have a piece of luggage that makes your travels smoother and wrinkle-free in more ways than one. 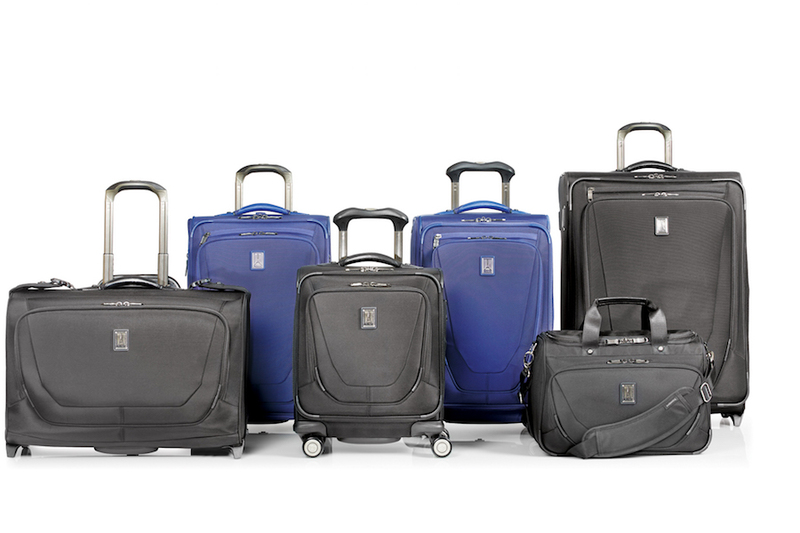 What is your preference for wheeled luggage? Do you prefer two wheels or Spinners? Let us hear from you in the comments below, on our Facebook page, or in our Twitter stream.